[This offer has ended. You can purchase this package at a regular price, though] Meet Black Friday case of Red. Six carefully selected, top quality labels will take you on a trip to Croatia. Through this carefully selected wines, you will discover a new world of wine. Black Friday special offer. Pošip is one of Croatian white varieties with the greatest potential. This wine comes from Korcula, the old vineyards that are traditionally the best microlocation for growing Posip. The winery is from the island of Brač, unique and famous for its white stone (Stina). Many famous Croatian poets, authors, sculptors, and painters were born on Brač. Brač stone has always been a source of inspiration due to its beauty, but it is also a symbol of hardship when it comes to viticulture and viniculture. And that is where the inspiration for the name STINA comes from. In the Dalmatian dialect, this word means stone, the strongest symbol of the island of Brač. Indigenous Croatian variety Pošip is consider to be the white wine varieties with greatest potential. There is no tropical fruitiness like in regular Pošip 2013. At first, the smell is neutral, on the nose it reminds of the sea mixed with a touch of peach and apple. But, precisely in this discreet and primarily mineral flavor lies the very delicate core of the aged Pošip as a variety. In the mouth it shows that the taste is still developing. The winery is from the island Brač, unique and famous for its white stone (Stina). Many famous Croatian poets, authors, sculptors and painters were born on Brač. Brač stone has always been a source of inspiration due to its beauty, but it is also a symbol of hardship when it comes to viticulture and viniculture. And that is where the inspiration for the name STINA comes from. In the Dalmatian dialect, this word means stone, the strongest symbol of the island of Brač. The grapes for this wine come from island of Brač, from younger and older vineyards in the inland of the island that is suitable for growing this variety. All actions during cultivation in the vineyards are performed manually. The harvest is done manually and selectively early in the morning, in order to preserve freshness and flavor in the grapes. This is an elegant wine with soft tannins, distinct fruitiness and balanced acidity. Tannins have become softer and flavor is more rounded as a result of maturation in barriques for 12 month’s. 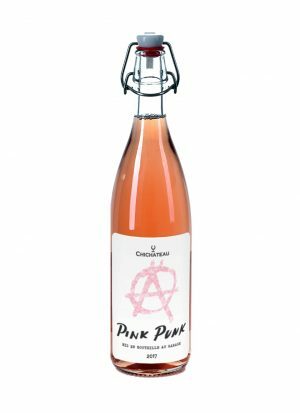 Barrique notes are elegantly incorporated and they further enrich the bouquet and taste. 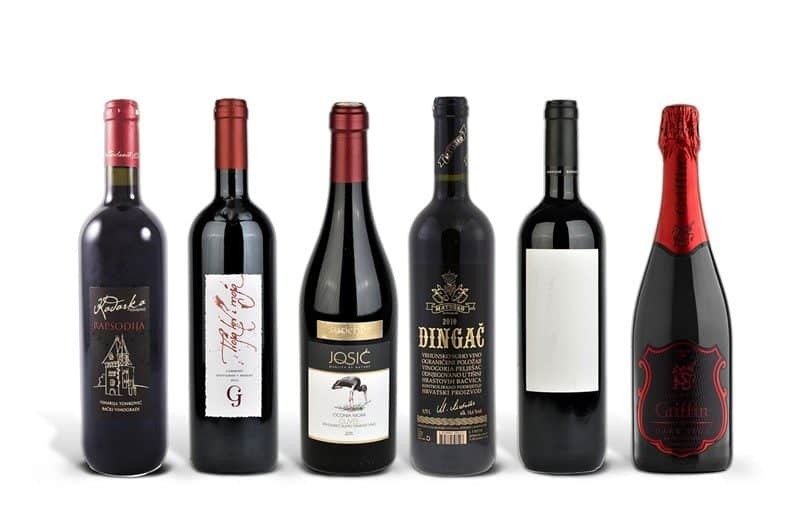 A dry red wine, the Crljenak or Tribidrag variety is known and widespread in the world as Zinfandel, and it has only recently been proven that Zinfandel originates from the Croatia, where it is almost completely extinct. The wine is produced from grapes from a single vineyard. It is located on the north side of the island of Brač, in a position suitable for the growth and development of this variety. Harvest is, like all other interventions in the vineyard, done by hand. Brač stone has always been a source of inspiration due to its beauty, but it is also a symbol of hardship when it comes to viticulture and viniculture. And that is where the inspiration for the name STINA comes from. In the Dalmatian dialect, this word means stone, the strongest symbol of the island of Brač. Debit has the freshness of the north and the strength of the south. Debit expresses the character of Plastovo soil remarkably, through minerality and freshness. Light, fresh, and extremely dry wine with a unique style. The scent of citrus, blended with a chamomile flower, in the mouth rounded with the flavor of the sea, salt, and stone. Sladić Ante Winery is a family winery in Plastovo, on a hill above Skradin, near the Krka National Park. They uncompromisingly believe in indigenous varieties and invest enormous effort in vineyard and wine cellar while respecting tradition and nature. It is a winery with a long tradition and great passion for winemaking. The microclimate at an altitude of 250 m created by a unique combination of River Krka and the Adriatic Sea. Enriched with the soil formed under the influence of the sea and a river that once ran in that area has produced a lot of limestones and a mixture of different soil that gives minerality and allows creating wines of various styles and qualities. The Debit variety that was once a currency for payment. It has a fabulous history where it won many awards, was exported to France and Italy, and even Marshal Marmont was drinking it.